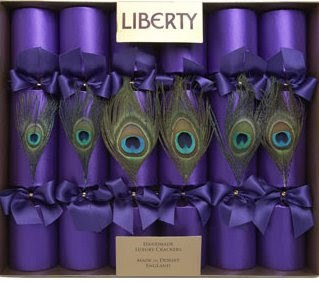 Liberty has some awsome and very expensive Christmas Crackers. I would never spend this much on something that will get torn apart in seconds, but I seem to remember that you could buy kits to make your own crackers when we lived in the UK. Nothing like that here.